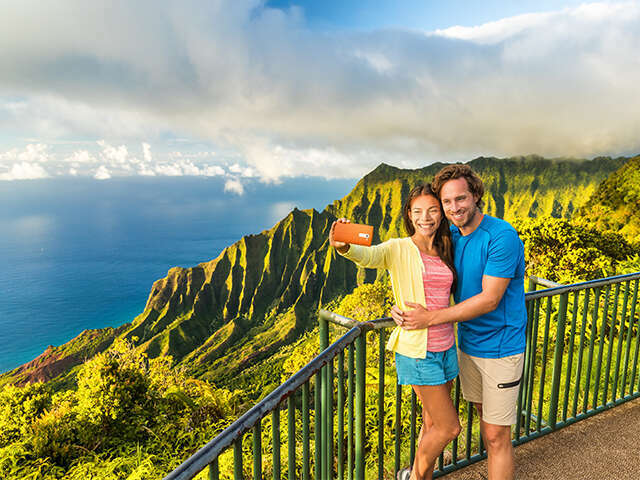 Thrilling Hawaiian Activities for the Adventurous Couple | UNIGLOBE Direct Travel Ltd.
Take a bike ride from Maui’s highest peak, Haleakala Crater, down to sea level and enjoy scenic views along the way! Many tours are available, but couples can take their own trip down the mountain as well. 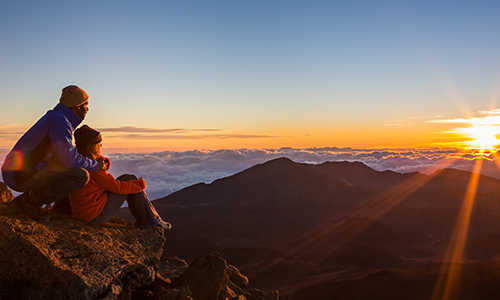 For the extreme thrill-seeking skydiving types, take the plunge out of a plane above Oahu’s picturesque North Shore! Enjoy panoramic views of the island and an incredible rush of adrenaline as you freefall at 120 miles per hour to paradise below. 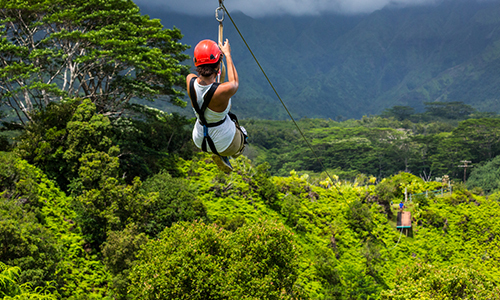 Fly through Kauai’s forests and across its rivers in the most unique way possible – by ziplining! Feel the anticipation build up and take the ride of your life with your loved one and experience nature in a truly exciting way. Trek along one of the best hikes on Molokai – Moaula Falls. This guided hike takes you on a 4.2-mile trip surrounded by native plants and fruits before ending at Moaula Falls, towering at 250 feet. A perfect picture opportunity! Lanai’s waters are among the most picturesque in the Islands. 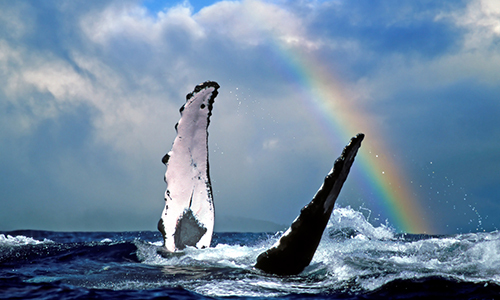 Go out on your fishing boat and venture off into the blue sea, and you may just get a glimpse of humpback whales in the winter months, turtles, manta rays, and more sea life! View the island’s hidden treasures from a different angle – from up top! 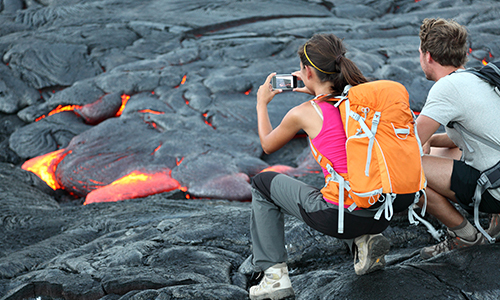 Kilauea’s lava flows can only be seen up close via air, and helicopter tours offer daring couples the opportunity to do so.